This fantastic Justice League single duvet cover and pillowcase set is ideal for any superhero and DC Comics fans! 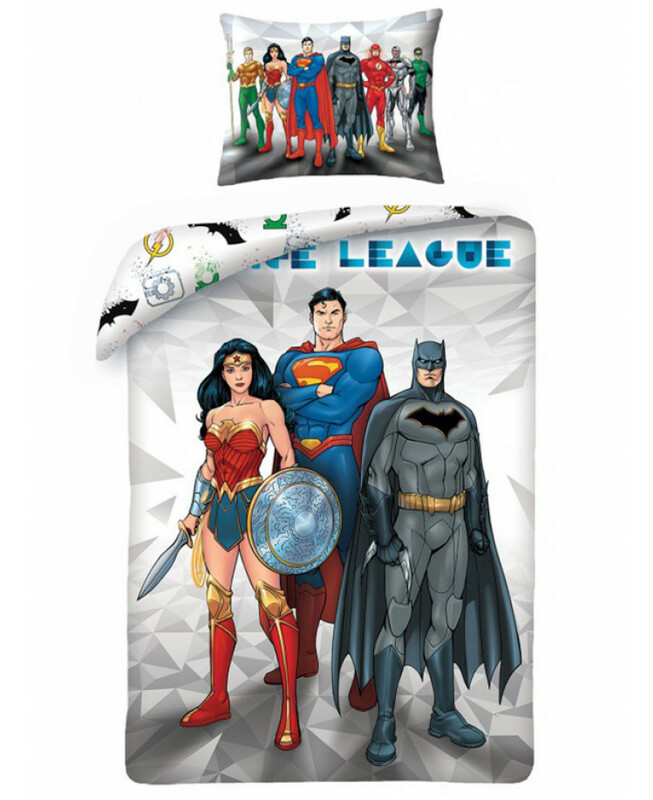 The duvet cover design features a great image of Batman, Superman and Wonder Woman on a grey geometric patterned background, with Aquaman, Flash, Cyborg and Green Lantern joining them on the pillowcase. 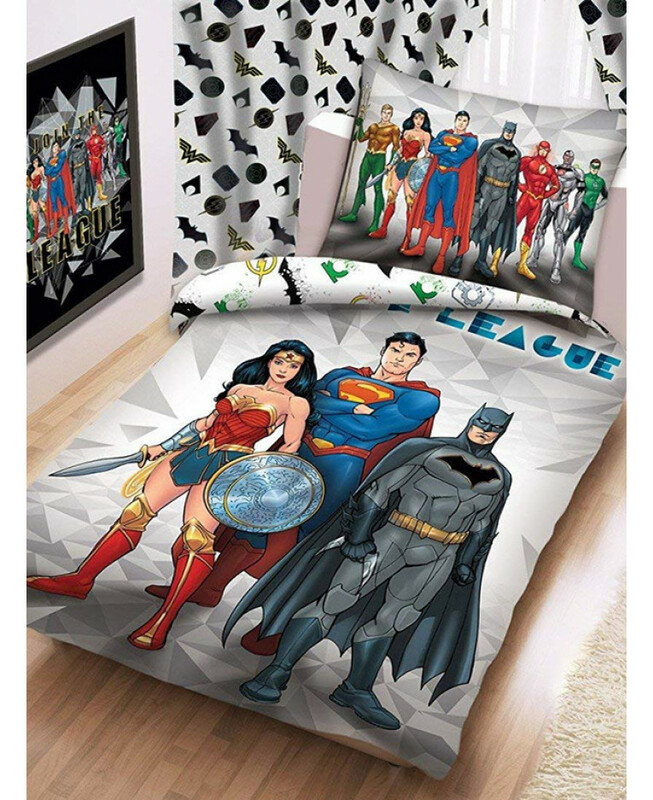 The reverse features the superheroes logos in a repeat pattern. This cotton bedding set can be machine washed and tumble dried on a low setting.